This solution addresses governance of protected areas, overexploitation of natural resources and lack of environmental awareness which are the main threats to biodiversity conservation and sustainable fisheries in Zanzibar. CHICOP has developed a financially sustainable model of private MPA establishment and management through eco-tourism which benefits local communities by promoting food security, sustainable fisheries, alternative livelihoods and implementing environmental education programs. With rapid population growth and the advent of mass tourism in Zanzibar, coral reefs are under pressure from overfishing, poaching and illegal fishing methods, a situation not uncommon for developing countries in the tropics. Insufficient capacity for effective marine governance and enforcement, poverty, and lack of alternative livelihoods make it difficult to balance a sustainable environment and community. Overexploited natural resources, a lack of environmental awareness and a poor marine governance are the main challenges. The business model (building block 1) showcases the innovation and creativity of this project and manifests the model of having revenue generated from ecotourism which is reinvested in MPA management and environmental education programs. Community engagement, involvement and the maximization of benefit streaming (building block 2) are foundational to the projects' overall success, and clear and transparent communications are at the heart of this. Scientific knowledge is maximized (building block 3) to guide and better inform MPA decision making, and has been successfully incorporated into the MPA management approach. To create awareness on the value of coral reefs, environmental education is provided to wide sectors of society (building block 4) making tourists partners in conservation. Effective management and enforcement (building block 5) are essential to ensure a well-functioning MPA, and have been key for the success of the project. The tourism component (building block 6) is vital to the sustainability of the MPA and as a learning center tourism operations must be environmentally sensitive. The eco-architecture and technology provides a best-practice model for marine and coastal eco-tourism operations around the world. Helping to restock depleted fisheries through the “spill-over effect” of fish from the protected Chumbe reef into adjacent, degraded fishing grounds, impacting long-term subsistence and livelihoods of local communities. Implementing ecologically sustainable architecture and operations that have close to zero impact on the sensitive terrestrial and marine ecology of the island, while promoting social resilience through the employment of 42 local people (each with an average of 12 dependents), access to sponsored education, long term loans, and creation of markets for local products and handicrafts. 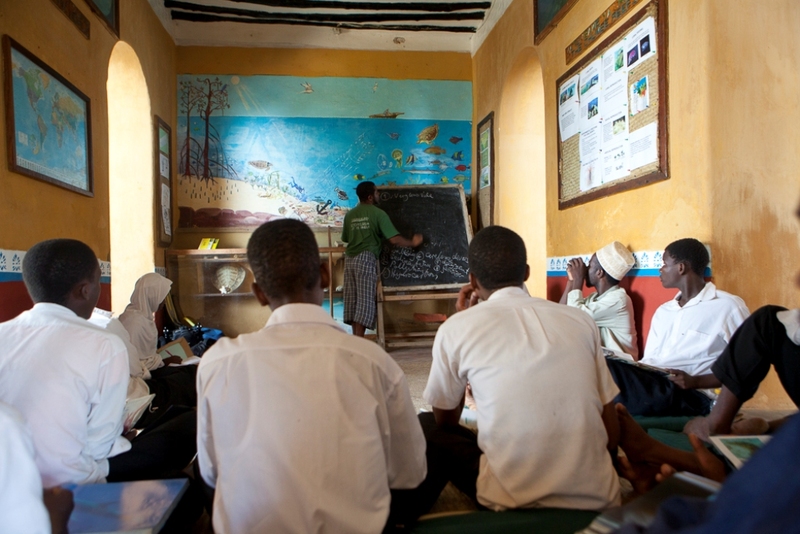 Pioneering environmental education in Zanzibar through financing and implementing field excursions to Chumbe for thousands of school children, teachers, community members and government officials. After working in development aid nearly 2 decades Sibylle Riedmiller felt disillusioned by the failure of most aid projects and was particularly frustrated by the rampant destruction of coral reefs and poor marine governance in Tanzania that had no marine protected areas at the time, nor any legal provisions for marine conservation. Coral reefs were not covered in school syllabi and there was little awareness about marine issues among Zanzibari people. In 1990 Zanzibar started inviting foreign investment into tourism. 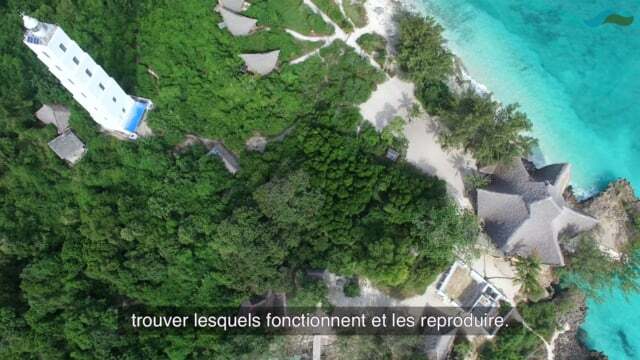 Sibylle saw an opportunity to establish a privately managed marine conservation area to be used for environmental education funded by eco-tourism. Chumbe Island – at the time an uninhabited island - was an appropriate site for exploration. Host to a coral reef of exceptional biodiversity and beauty, research revealed that fishing had traditionally not been allowed on its western side, due to concerns of small boats obstructing the shipping channel to Dar es Salaam. But all of this was changing – fishers were going farther distances due to diminishing catches, making conservation and fisheries management ever more pressing. Therefore it was timely to establish an MPA whilst no traditional users were to be displaced, and to base management on co-operation with local fishermen. In 1990, Sibylle started campaigning and presented a business plan to establish Chumbe as a privately managed MPA financed through ecotourism, with the condition that the Government of Zanzibar (GoZ) declared the fringing coral reef and island forest as protected areas. This required lengthy negotiations with seven GoZ departments. Finally in 1993, GoZ approved and gazetted the Chumbe Reef Sanctuary and Forest Reserve in 1994 and 1995. Sibylle registered Chumbe Island Coral Park Ltd. (CHICOP) and signed agreements with GoZ to confer full management of the protected area to CHICOP. 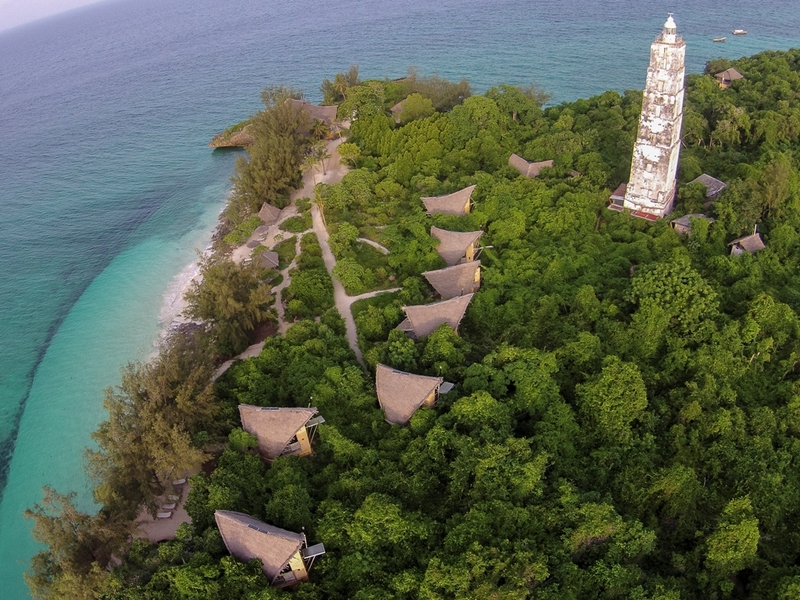 It took another 4 years to develop the ecotourism infrastructure using state of the art eco-architecture and technology, recruit experts and local staff, provide training, undertake outreach with local communities and establish the conservation and education programs on the island until Chumbe could finally open to visitors in 1998. Since this time we have succeeded in developing Chumbe into a fully ecologically and socially sustainable MPA providing high-quality services to visitors while conserving biodiversity and promoting environmental awareness – all entirely financially sustainably. TNC Webinar “Sustaining MPA Management and Conservation – What Can Make it Happen? Experiences and Lessons Learned by Chumbe"